Zak Podmore-- As someone who's spent a decade actively seeking out Southwestern authors, I was surprised to find a new writer at the top of a list that rattles around in my sunbaked Utah brainpan this year, a list I like to call "The Best Desert Writers Ever." Even more surprising was that the author, Charles Bowden, was only new to me. He died in 2014 at the age of 69 after a prolific career. I've devoured six of his books so far, all of which deal in varying degrees with violence along the U.S.-Mexico border (think Cormac McCarthy turned journalist). 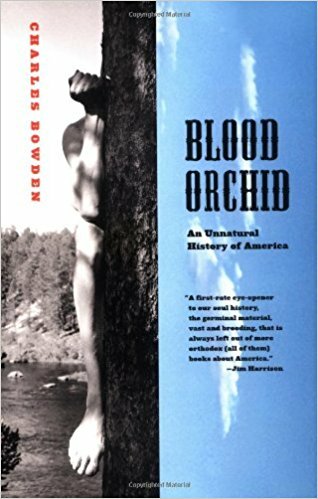 Easily my favorite is Blood Orchid: An Unnatural History of America, Bowden's amorphous, genre-defying 1995 masterpiece that slides between reportage, memoir, history, and natural history. In a grinding, lusty tour that takes us from the age of Red Cloud and Sitting Bull to 1960s Tijuana whorehouses, from Argentina’s U.S.-backed Dirty War to the five-day wedding bender of a Mexican drug lord, Bowden explores the concept of “soul-death” with moral outrage, trenchant wit, and plenty of dark humor. It’s a hell of a ride but Bowden is a more than capable guide, whether through skid-row nights or the vast Sonoran wilderness. K. A. Hamilton-- Released this October, Her Body and Other Parties by Carmen Machado could not have been more aptly-timed. If 2017 was the year of the “silence breakers,” Machado’s book is about the silence. Her collection of stories exposes the consequences of having a female body so delicately as to leave the experience wholly intact. It’s difficult not to feel a visceral connection to the experiences of Machado’s characters. To read Her Body as an open-minded outsider is an act of empathy; from the inside, one of catharsis. Shawna-Lee Perrin-- I’ve been a little obsessed with Jennifer Egan’s writing this year. 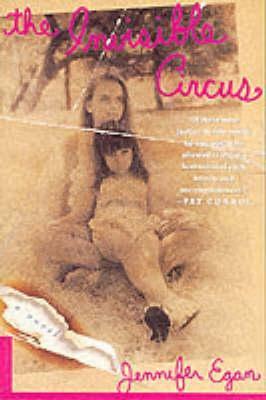 Most recently, I read her debut novel, The Invisible Circus, and the most accurate word I have for its effect on me is haunting. The older sister, Faith, spent her short life chasing and creating magic, but ultimately ended her own life under mysterious circumstances. Her little sister Phoebe has spent the almost-decade between then and where the novel begins being cautious, sad, and socially isolated. Phoebe’s drive to understand her sister’s tragic end propels her to travel Europe solo, going where Faith went, seeking out her final journeys. Egan depicts two very different experiences of coming-of-age: Faith’s insatiable lust for adventure and dramatic change couldn’t survive adulthood, while Phoebe’s extreme caution and nostalgia for her own past threatened to lock her away from the world forever. As Phoebe discovers truths about her sister and the people who loved her, the romanticism is yanked away; at first, this unfiltered view of her past is blinding, but as her vision adjusts, she can finally clearly see her way forward. Both paths toward adulthood are painful and dangerous, and Egan depicts both in vivid color.